The lurid fright film What Ever Happened to Baby Jane? (1962), starring film legends Bette Davis and Joan Crawford, proved such a hit that it launched the so-called "psycho-biddy" genre, where aging screen queens from Hollywood's Golden Age deglammed to play maniacal harridans and the like in increasingly campy horror flicks. Predictably, plans were soon laid for another Davis-Crawford shocker vehicle after the success of Baby Jane. 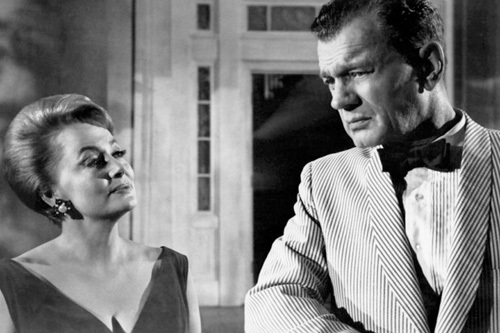 It was found in the classic southern Gothic movie Hush, Hush, Sweet Charlotte (1964)--although when it was shown in the theaters only one of these great acting divas was actually in the film. Production problems plagued Charlotte (according to legend, Bette Davis's psychological warfare against Crawford drove her despised rival off the set, forcing the director to replace Crawford with Olivia de Havilland), delaying its release until late in 1964, and it was not as big a hit as Baby Jane; yet the film was received even more warmly when the Academy Awards nominations rolled round, netting seven Oscar nods to the five of Baby Jane: best supporting actress, cinematography, art decoration, costume design, film editing, original song and original score. Hush, Hush, Sweet Charlotte was based on a novella, What Ever Happened to Cousin Charlotte?, written by Henry Farrell, the author of the novel What Ever Happened to Baby Jane? I think Farrell wrote the novella as the scenario for the film that was to be made from it, and I believe it was never published until recently, when it appeared in this 2013 edition of What Ever Happened to Baby Jane? There are a few differences between the novella and the script, most notably the expansion and deepening of the role of Velma, played in the film in classic scene-stealing fashion by Agnes Moorehead. Basically, the novella is a solid enough example of a mid-century domestic suspense story, written by a man, while the film itself is lifted above the genre norm by superb production values and colorful acting. Set on the River Road in Louisiana (film exteriors were shot at Houmas House plantation), Hush, Hush, Sweet Charlotte tells the story of batty Charlotte Hollis (Bette Davis), believed way back in 1927 to have hacked to death in a summerhouse during a ball at the Hollis mansion her married lover, John Mayhew (Bruce Dern), upon his having broken off their tempestuous affair. 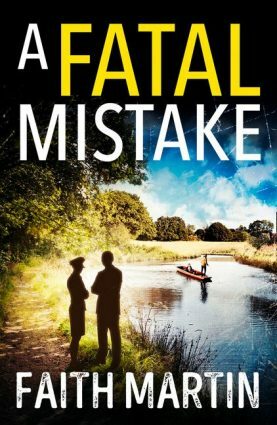 (John's murder was never officially solved, nor, um, was his head ever located.) This part of the story is memorably shown immediately after the film's prologue and opening credits. Since the death of her nouveau riche protective father, a classic southern "Big Daddy" type played with typical gusto by Victor Buono (back from Baby Jane, for which he had received an Oscar nomination), Charlotte has lived alone in the decaying antebellum mansion her father bought many years ago, attended by her ornery "white trash" maid of all work, Velma (Agnes Morehead). Unhappily for the eccentric and reclusive Charlotte, the Hollis mansion is scheduled to be demolished in order to make room for a highway and bridge. Charlotte is determined to prevent this, so she calls upon her capable poor relation from her younger days, Cousin Miriam (Olivia de Havlland), now a successful career woman, to help her out of this mess. Also on hand is the Hollis family friend and doctor, Drew Bayliss (Joseph Cotten), and, in a couple of scenes, Jewel Mayhew (Mary Astor), owner of the neighboring estate and the widow of Charlotte's long-dead lover, John. In spite of Miriam's help, Charlotte's sanity seems only to deteriorate further, as Charlotte hears strange noises in the night (a harpsichord plays the haunting melody John wrote for her, for example) and has nightmarish visions of the decades-old murder. Of course there will be more deaths at the Hollis mansion before the film is over, but whose will they be? Ladies and gentlemen, our nerves are in for a bumpy night! Is that Joan Crawford returning to the set? Bette Davis as "Sweet Charlotte"
I really enjoy Hush, Hush, Sweet Charlotte. Despite the, oh, decapitation murder (recalling the infamous ax murders of the Lizzie Borden case, local children with the casual cruelty of youth have changed the words of John's song from "Hush, Hush, Sweet Charlotte" to "Chop, Chop, Sweet Charlotte"), I don't find Charlotte quite so cruel a film as Baby Jane and I believe it's more of a genuine mystery film in its structure. 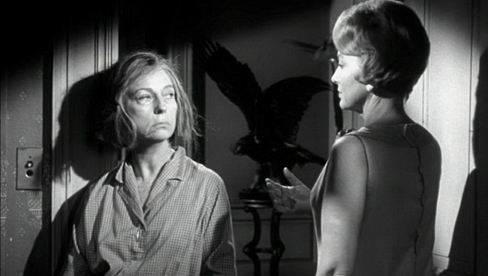 Agnes Moorehead's scene-stealing Velma is a right hoot in my opinion, while everyone else in the main parts gives compelling performances too, I think. As Cousin Miriam (the part originally slated for Joan Crawford), Olivia de Havilland is terrific, and Joseph Cotten's role as the silky-mannered doctor fits the native Virginian like a glove. In her final film performance as the widowed Jewel Mayhew, Mary Astor also delivers a compelling performance, making you wish she had more scenes. Bette Davis's starring role as Charlotte is not as singular a part as her notorious Baby Jane (for which she received an Oscar nomination, being done out of the win, according to legend, by her co-star and rival Joan Crawford's vigorous campaigning against her), but she holds the screen like the great diva that she was. If she chops up the scenery (and does she), well, that is what Charlotte Hollis does...right? Happy Halloween to all of the Passing Tramp readers out there. Frightful dreams! Very interesting. I remember watching this film on TV when I was a child and it was terrifying. I was frightened to put my bedside light out that night. I wonder if I would find it at all scary now! Try it out and see! 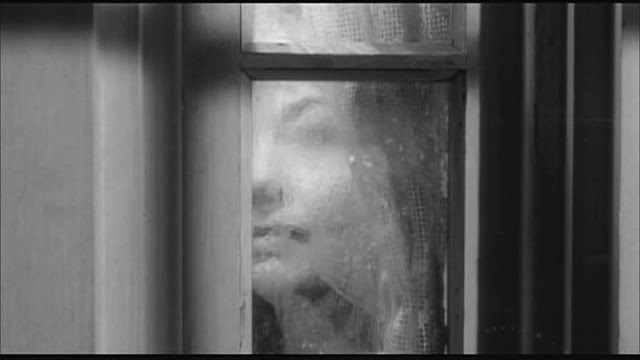 I only ever saw this when I was an adult, did see Psycho when I was a kid, with which it has some affinity. It's a fun movie. Not as good as Whatever Happened to Baby Jane? of course but still very enjoyable. Robert Aldrich had to be the most inconsistent director in Hollywod history. Hush...Hush, Sweet Charlotte and Whatever Happened to Baby Jane? were terrific but he also made utter crud like The Big Knife and Kiss Me, Deadly. 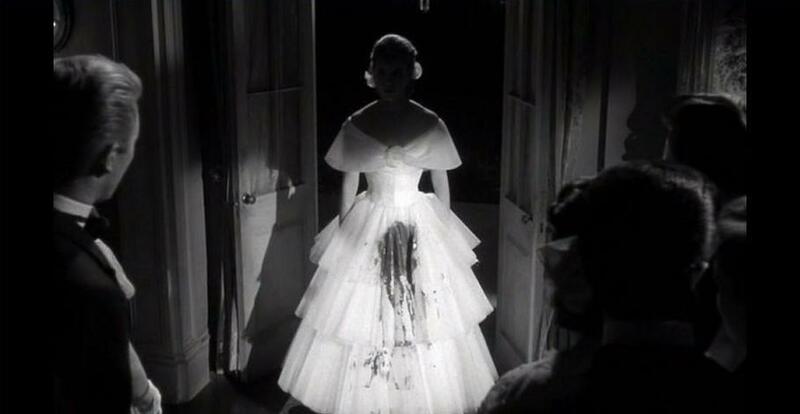 I liked Kiss Me, Deadly. Now I'm going to have look up The Big Knife. Now I'm going to have look up The Big Knife. There are people who admire The Big Knife. If you have a taste for absurdly pretentious artiness and angst and the worst excesses of Method acting then it may be the film for you. I'm still trying to expunge it from memory. This is one of my all time favorite movies in the Grand Guingol badass biddy genre. I think its superior to BABY JANE. The final scene with its surprise ending makes the entire story even more tragic that the twist in BABY JANE. I can barely re-watch BABY JANE these days it's been so sullied and belittled by all those gay camp parodies. As for ...CHARLOTTE I used to quote it all the time when I was a teenager. Sick kid that I was. The first thriller play I wrote alludes to it and several of my short stories have ...CHARLOTTE in-jokes. I was obsessed with the movie for decades. I agree with you, John, there's a poignancy in Charlotte's ending that I don't get in Baby Jane. It makes the movie more rewatchable for me than Jane, though the latter has some terrific shocks, even for the modern audience. I'm quite fond of the Grand Guingol badass biddy genre. 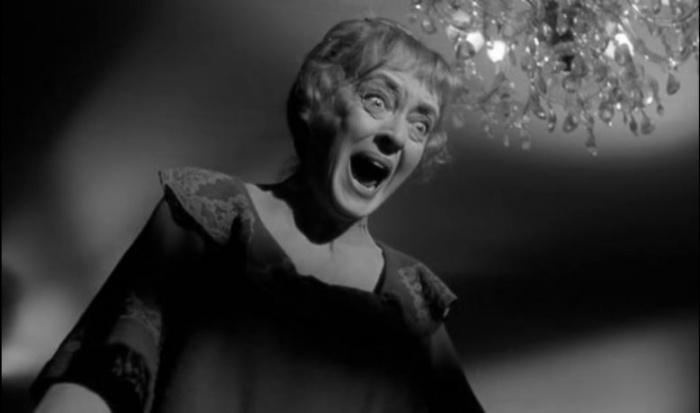 I think Joan Crawford in Straitjacket is hard to beat. For a non-camp entry in the genre check out Hammer's The Nanny with Bette Davis. I think it's one of her finest performances. A surprisingly excellent movie. Yeah, I saw The Nanny like fifteen years ago and liked it too. Straightjacket's not a bad little mystery and I can never say no to ax murder films. I have never read the novella, so really fascinated to read about this. 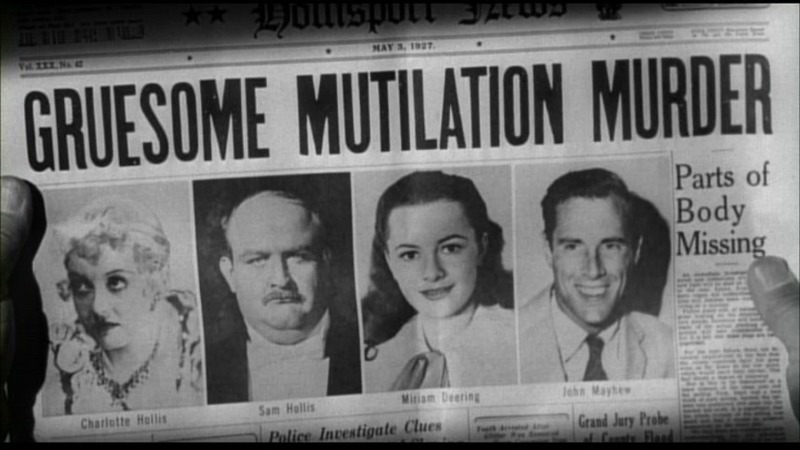 This movie has always been more available than BABY JANE (well, different distrobutors) so I saw it first and in some ways I do prefer it though it suffers, like many of the suspense movie written by Jimmy Sangster for Hammer at the same time, from being so clearly modelled on LES DIABOLIQUES. Belatedly, happy Halloween Curtis! Quite a bit of "gaslight" too!